The C. Lee Services plumbing team saves your yard from damaging trenching with advanced video equipment used in Stow, OH sewer camera inspections. Each of our professionally trained technicians can flawlessly perform a sewer line inspection to detect the cause of your plumbing issue. The sewer camera inspection for your Stow, Ohio pipes helps us locate the problem and confirm exactly what’s causing the issue. Our team will explain precisely what’s happening within your plumbing system before we make any service recommendations. Accurate sewer camera inspections are one of the best ways to save money on your Stow, OH plumbing repairs. Pipes and sewer lines can be compromised by a number of things, including tree root invasion, debris, deterioration due to age, or complete pipe collapses. A sewer camera inspection from C. Lee Services identifies any issues within your pipes. By utilizing the video, our skilled technicians can quickly access the blockage, clean or repair the pipes, and ensure the job was finished properly. 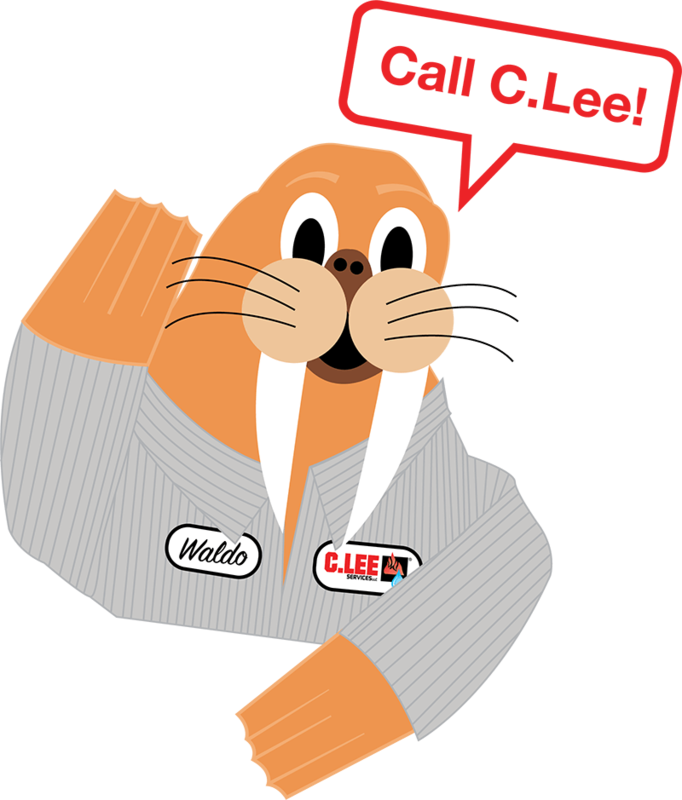 The C. Lee Services plumbing team is comprised of industry professionals that rely on state-of-the-art equipment to access your sewer lines. A Stow, Ohio sewer camera inspection can be utilized for many reasons. Our service can be used to find blockages and breaks within your pipelines, identify the condition of your sewer line in addition to its age, material, and diameter. We’ll also use the camera to show you the before and after results of our work. Our technicians will show you what your pipes looked like before our cleaning or repair and then a follow up picture of the clean line. Environmental and man-made factors play a role in how your pipes perform on a day-to-day basis. The C. Lee Services team understands that sewer and drain systems battle more elements than what goes through the pipes. A Stow sewer camera inspection shouldn’t be reserved for solving a plumbing issue. Our technicians can recognize and prevent small issues from becoming large plumbing emergencies. A routine camera inspection can help prevent broken pipes, corroded pipes, grease buildup, misaligned pipes, off-grade pipes, punctured pipes, and tree root invasion. When needed, a camera inspection can also help locate lost jewelry or even identify when an animal has become lodged in your piping. 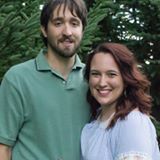 Whether a sudden spike in your water bill has you concerned about your plumbing, or you live in an older home and have been battling issues for a while, the plumbing experts at C. Lee Services can help. If you’re experiencing slow-flushing drains, consistent clogging, repeated sewer backups or you’re buying a new home, plan for a sewer camera inspection. Our state-of-the-art camera inspection method is guaranteed to effectively and affordably inspect your sewer and drain pipes for all imperfections and damages within your system. It’s accurate. Our team knows exactly what is causing your plumbing problems with a sewer camera inspection. We can locate and fix the issue without guessing or approximating where the problem lies. It’s preventative. A Stow camera inspection can be used to view the current condition of your pipes. Get a look at your plumbing you would not be able to see any other way. Include a camera inspection in your yearly home maintenance checklist. It’s less complicated. Avoid digging up your front yard and have a camera inspection performed to locate the problem before any repairs are made. Allow our industry-leading technicians to complete a sewer camera inspection on your Stow pipes and provide a more efficient plumbing system for your home. 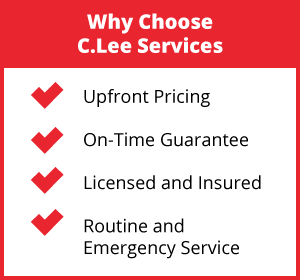 Contact C.Lee Services today to get started.